The Picket House Furnishings Jana Queen Upholstered Platform Bed is fashion made simple! 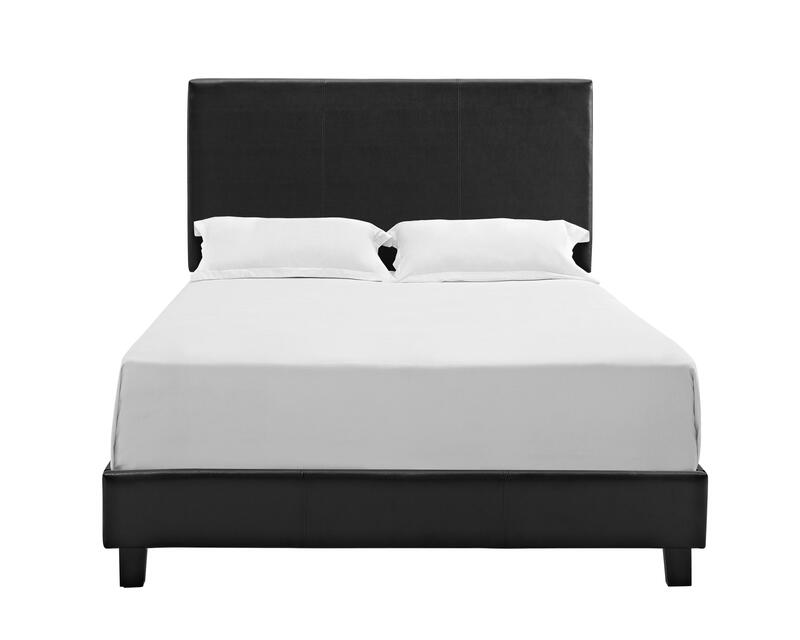 This platform bed is sleek in design, making it a staple in your home year after year. This queen bed comes with euro slats, which means you no longer need a box spring. Accent stitching adds an extra subtle detail to this contemporary design. The upholstered platform bed's neutral color makes it easy to pair with existing decor. Dark espresso wooden feet complete the look of this transitional bed that will last year after year.